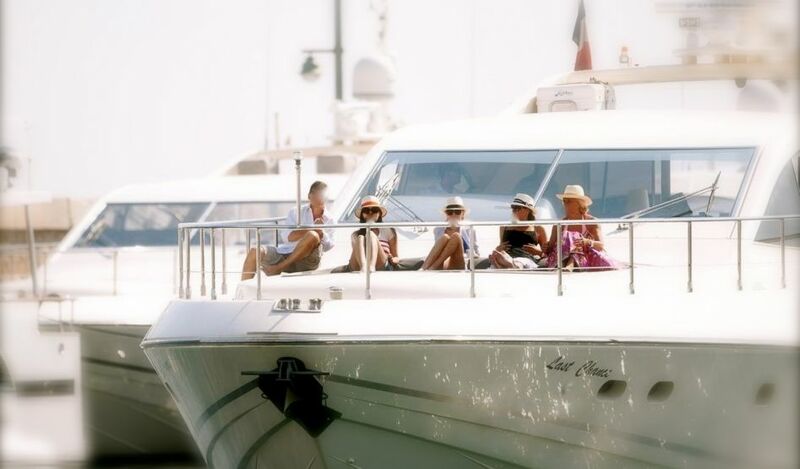 Luxury motor yacht Namaste was designed and built by Leopard Arno in 2004. 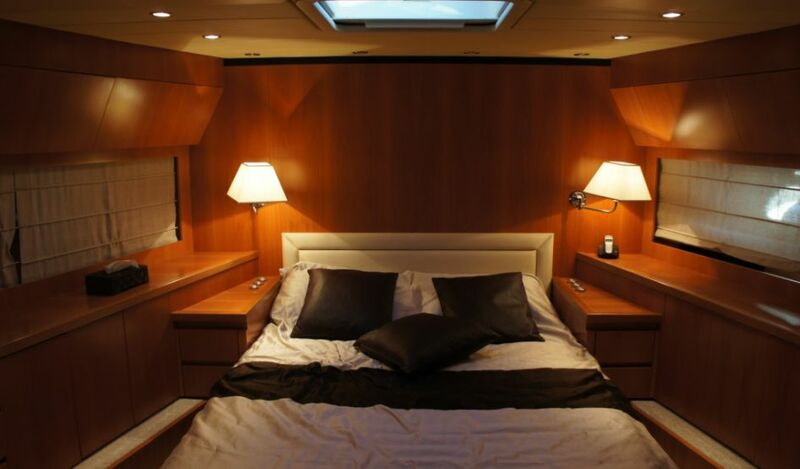 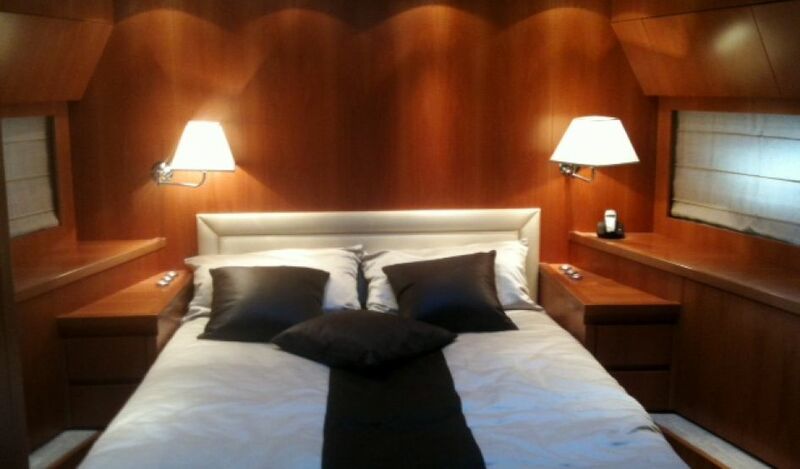 The popular yacht measures 24 meters (78,8ft) and can accommodate up to 6 guests in 3 cabins. 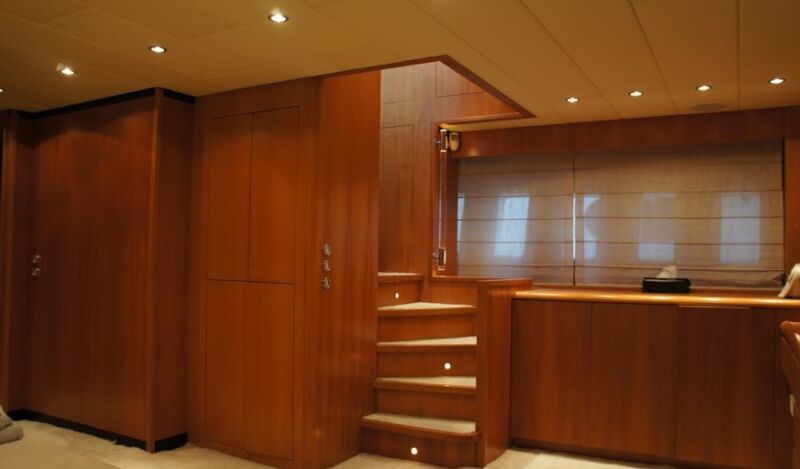 Namaste combines indoor and outdoor living in her ingenious design featuring 2 salons and plenty of deck space. 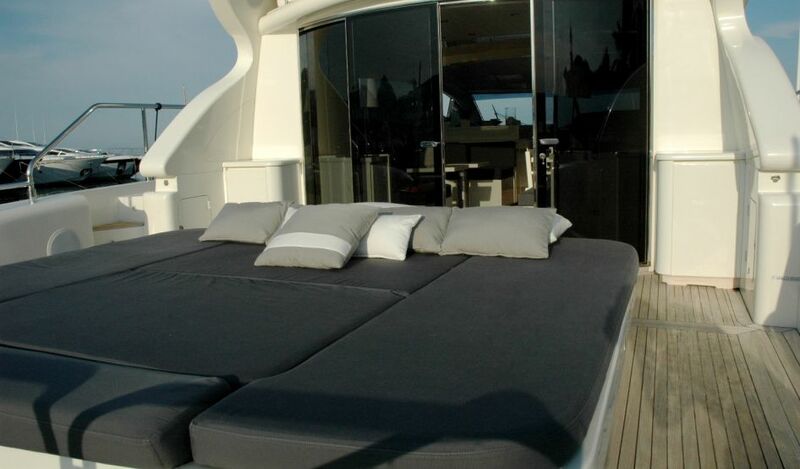 Motor yacht Namaste has a sleek modern exterior and a warm welcoming interior. 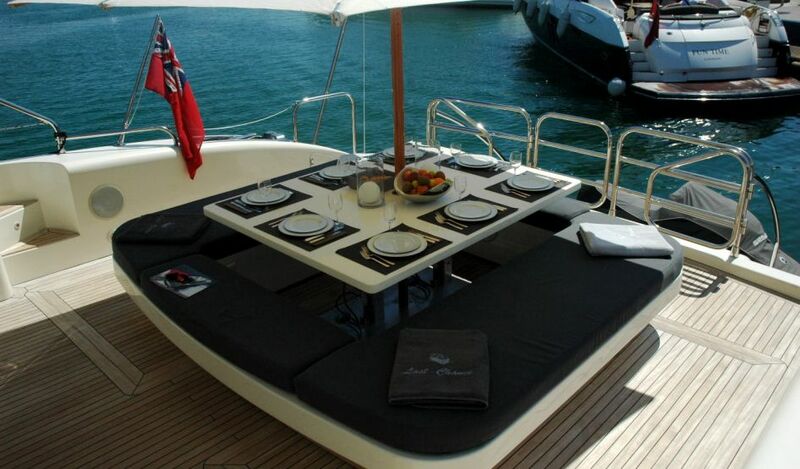 Stepping aboard Namaste the aft deck is spacious offering a large sunpad which can quickly convert into an alfresco dining option. 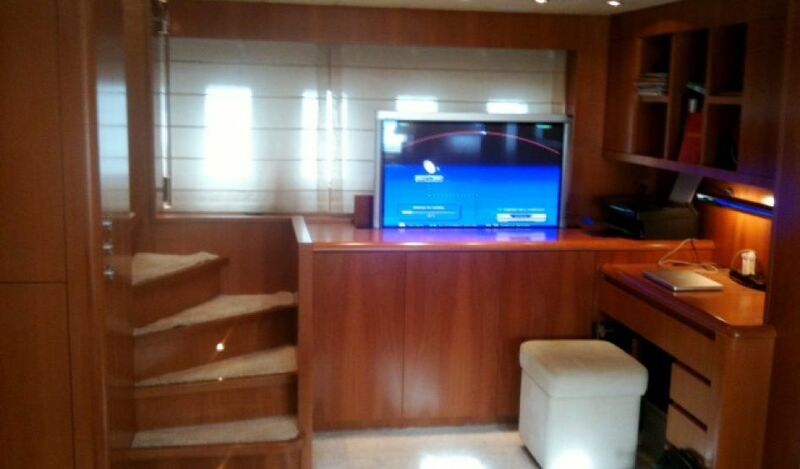 Wide sliding glass doors lead into the deck salon with ample seating and a more formal dining area. 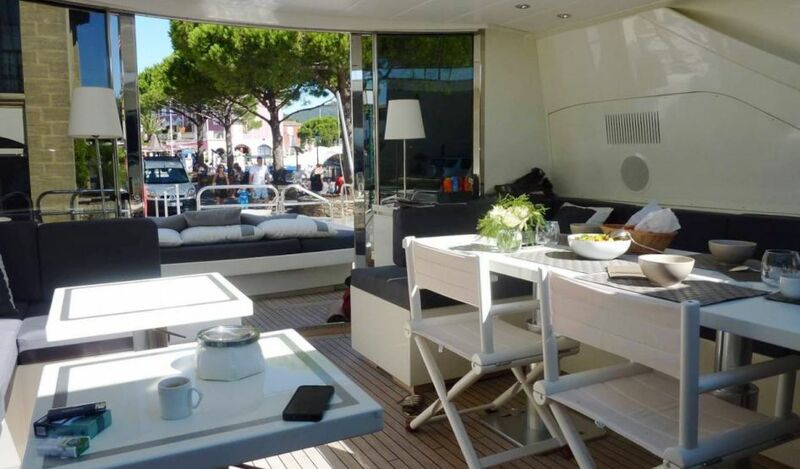 A retractable roof allows a natural breeze to flow through while a pop up TV adds a social dimension. 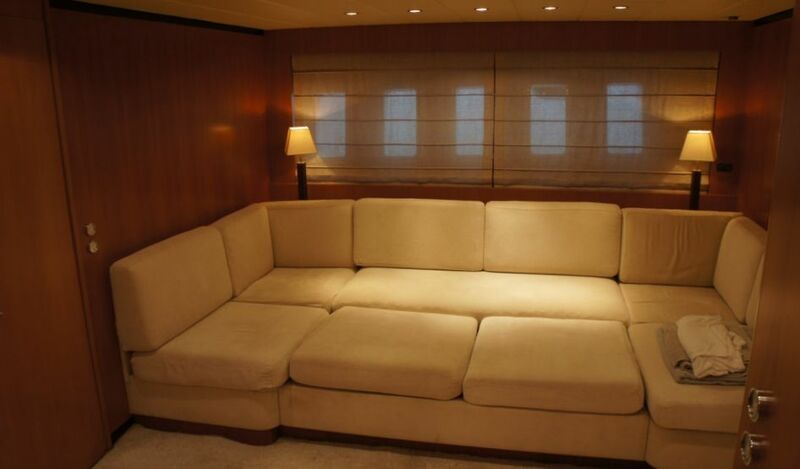 Below decks the main salon is set in neutral tones featuring cream soft furnishings and warm cherry wood panels, soft lighting enhances the relaxed atmosphere; a large flat screen TV and adjustable sofa to sofa bed allow the space to be an ideal movie theater. 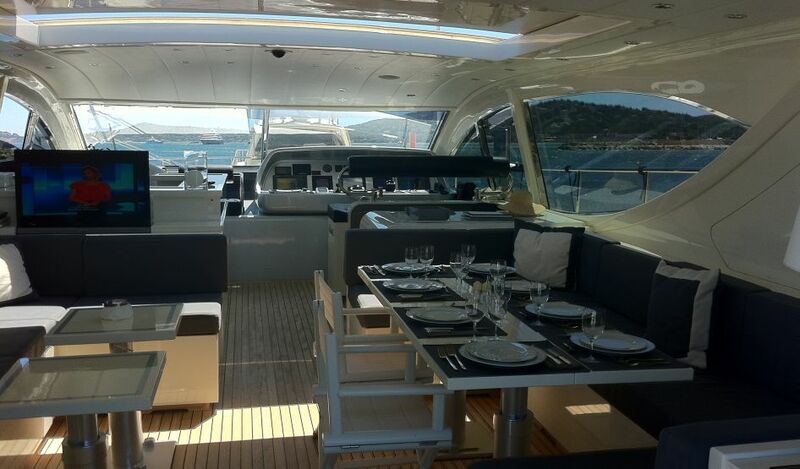 The Leopard Arno Namaste offers guests many deck areas to enjoy, the foredeck boasts a massive sunpad and is the ideal place to enjoy the warm Mediterranean days, for the water enthusiasts Namaste offers a wide swim platform with hot and cold fresh water rinse. 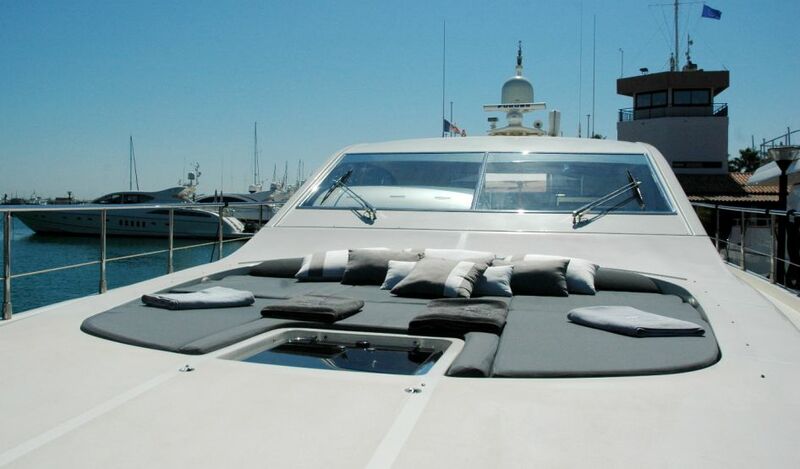 The Namaste motor yacht has a beam of 6 meters (19.8ft) and a draft of 1.2 meters (3.9ft), she boasts a fast planing hull that can reach speeds of 30 – 35 knots easily. 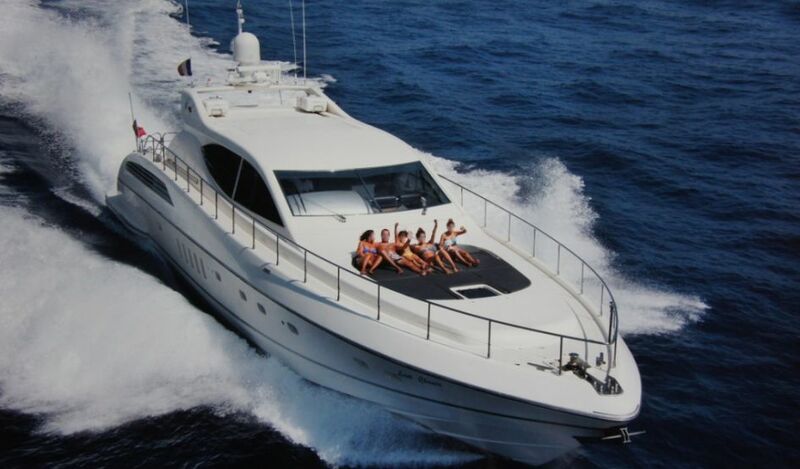 Charter Yacht Namaste can accommodate up to 6 guests in 3 cabins. 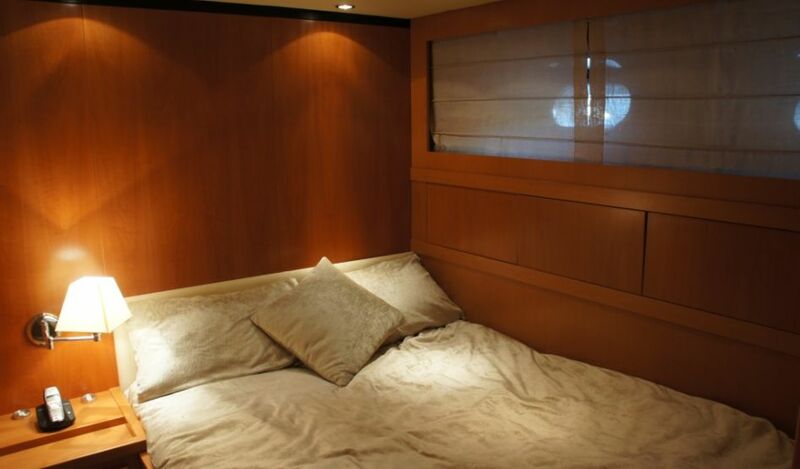 The master cabin has a walk around double bed and is located forward and full beam of the yacht, a VIP cabin has a double bed while a further guest’s cabin offers 2 single beds, all cabins have en-suite facilities.